I have some great tips on how to save yourself some fuel on your houseboat this coming season. These are useful and free tips to potentially save yourself plenty of money when you get to the pumps. * Ethanol gas, water condensation, and gummy carburetors? * Rentals - any cancellations, cheap, last minute deals? 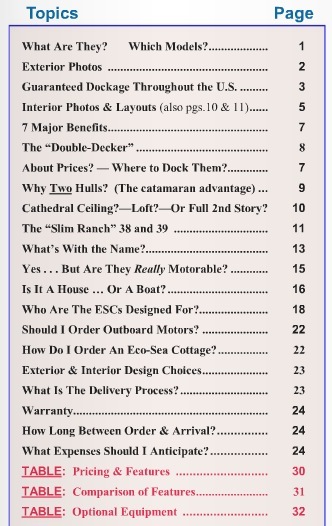 * 1st time buyer, financing and loan options for houseboats? Be sure to visit our Houseboat Liquidation Center for great prices on boat parts and accessories. We appreciate your support as it helps us grow the useful information and articles on the website.